I started collecting in person in the early 90s and was lucky enough to meet bands like Soundgarden and Korn when they were first getting started. Life happened and I fell away from it for awhile, selling most of my collection for next to nothing. I returned to collecting several years ago and although I don't have as much free time to graph in person I spend a lot of time "treasure hunting" on the internet. I've located and purchased many difficult names from Aaliyah to the Beastie Boys to Page and Plant. I've formed relationships with record stores that do private signings with artists who come to town to perform and spend hours and hours scouring the internet for great deals and in researching back stories, and of course signatures. Although I still get some autographs in person, many are not and though I have the upmost confidence in what I buy, I will always guarantee third party authentication on anything I sell. I am a collector first and foremost (Rock and Metal vinyl and posters primarily) but sell at times to fund new purchases. I've been a member of RACC since before they hit 1000 members and my reputation on this site means everything to me. 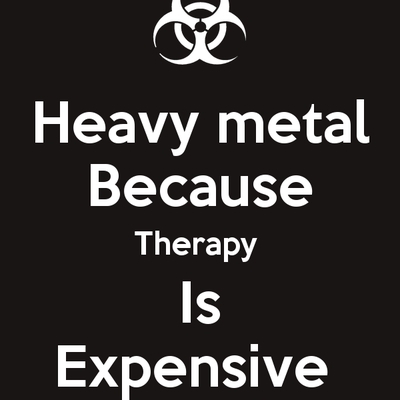 The name metaltherapy comes from a combination of my career (social worker/counselor) and my passion (you can figure this part out). JOHNNY CASH Signed "The Unissued Johnny Cash" Vinyl Record Album. Rare! AUTOGRAPHED TESLA FULLY SIGNED SHOCK CD booklet. DEICIDE RARE SIGNED VINYL ALBUM. AUTOGRAPHED BY 3!